Adam Habib has been principal and Vice Chancellor of the University of the Witwatersrand since June 2013. Studying at a mix of South African and American Universities, Adam Habib graduated as a political scientist having received his Bachelor and Master of Arts degrees from the University of Kwazulu Natal, Bachelor of Arts (Honours) from the University of Witwatersrand, and his MPhil and PhD from the Graduate School of the City University of New York. He has held academic appointments over the last decade at the Universities of Durban-Westville and Kwazulu-Natal and the Human Science Research Council. Prior to being appointed Deputy Vice-Chancellor Research, Innovation and Advancement at the University of Johannesburg, he served as the Executive Director of the Democracy and Governance Programme of the Human Science Research Council. Before that, he was the founding director of the Centre for Civil Society and a research professor in the School of Development Studies at the University of Kwazulu-Natal. 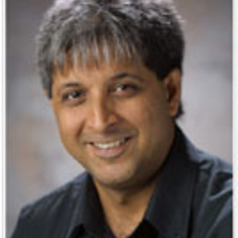 Adam Habib has served as co-editor of both the social science academic journal Transformation and the official disciplinary journal of the South African Association of Political Science, Politkon. He also sits on the editorial boards of Voluntas and the South African Labour Bulletin. He has served as an external examiner and examined Masters and Doctoral dissertations for a number of South African Universities including Durban-Westville, Kwazulu-Natal, Witwatersrand, Cape Town, and Rhodes. He has also served on a number of boards and councils including those of the University of Durban-Westville, the Durban University of Technology, the International Society for Third Sector Research, Sangonet, the Centre for Public Participation, and the Centre for Policy Studies. Adam Habib has published numerous edited books, book chapters and journal articles over the last two decades in the thematic areas of democratisation and its consolidation in South Africa, contemporary social movements, philanthropy, giving and its impact on poverty alleviation and development, institutional reform, changing identities and their evolution in the post-apartheid era, and South Africa’s role in Africa and beyond. He is a well-known public figure in South Africa whose opinions are often sought by both the print and broadcasting media. Founding director, Centre for Civil Society, University of Kwazulu-Natal.